If your teeth appear dull or discolored, you can rejuvenate them with professional teeth whitening! At Mendelson Family Dentistry in Owings Mills, MD, Drs. Herbert and Harold Mendelson can make your teeth gleam like never before! There are two types of professional teeth whitening treatments: in-office and take-home. Your Owings Mills, MD, dentists can help you decide which type of professional teeth whitening is right for you. In-office teeth whitening treatment is applied by dental professionals in the dentist’s office, and delivers the fastest results of any whitening treatment. In fact, it is possible to achieve a smile that is several shades whiter with just one in-office treatment. During these treatments, the mouth is gently held open using a retractor device, while additional measures are then taken to protect the gums and other sensitive areas. After these safety precautions have been applied, a whitening gel is evenly applied to the surface of the teeth. 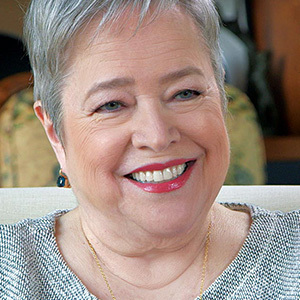 Within about one hour, the teeth will be several shades whiter. Take-home teeth whitening kits are a convenient alternative to in-office treatments, and they still deliver professional level whitening results! For this variety, custom plastic mouth trays are created just for you based on a mold of your teeth. These trays are used to hold whitening gel and are worn over the top and bottom rows of teeth for about one hour at a time, a few times each week. Within a few weeks, your smile will be whiter and brighter. In-office and take-home teeth whitening both have several advantages over other options, such as over-the-counter whitening strips and toothpastes. In-office and take-home whitening treatments utilize high quality, professional strength bleaching agent to whiten the teeth and remove stains. Over-the-counter products typically do not contain a professional strength bleaching agent and cannot achieve the same level of whitening results as professional treatments. Additionally, the results of professional whitening tend to last much longer. You can quickly and easily rejuvenate your smile with teeth whitening treatments from your dentist. For help choosing between in-office and take-home whitening treatments, schedule an appointment with Drs. Herbert or Harold Mendelson, your Owings Mills, MD, dentists, by calling Mendelson Family Dentistry at (410) 356-4100. Find out if this at-home method really has what it takes to get your smile brighter. One day you are sifting through Pinterest and you come across a pin that talks about the wonders of baking soda for brightening your teeth. You wonder, “Could this really be all it takes to remove dental stains? Better yet, is it safe?” If you aren’t quite sure whether you should try baking soda or not, our Owing Mills, MD, dentists, Drs. Herbert and Harold Mendelson, are here to weigh in on whether this is a safe and effective option. If you were to look at the ingredients on a lot of whitening toothpastes you may see baking soda. It’s true that baking soda is commonly used to surface stains from teeth, but if you also think about some of its other uses (e.g. cleaning the oven or a stained coffee pot) then you may quickly realize just how abrasive baking soda actually is. So, just how effective will baking soda be for you? It will be difficult to tell; however, if you have severe, deep-set or older stains that you want to treat, then even making up a strong baking soda mixture to apply to your teeth won’t cut it. You’ll need something a little stronger than can penetrate through the hard layers of enamel to break up the stain-causing molecules. 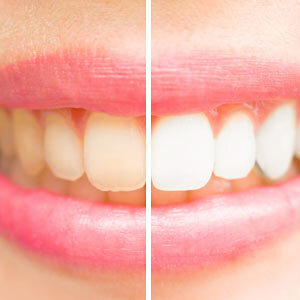 If you want to remove some serious stains and get a whiter smile fast then the best option is to visit our Owings Mills cosmetic dentist for professional teeth whitening. Sure, it’s no inexpensive DIY remedy, but you’ll get immediate results and it’s completely safe to use on teeth. Which brings us to another point. If you do decide that you just have to try baking soda out for yourself, a word of caution: If you continue to do this you may find that the abrasiveness of the baking soda, over time, could wear away and damage your teeth so always be careful and gentle with your teeth. Also, you’ll still need to be brushing with fluoride toothpaste even if you are using baking soda to clean and whiten your teeth because fluoride will actually keep teeth enamel strong and healthy. 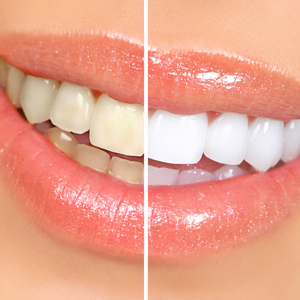 We know that a lot of people want whiter smiles but can’t always afford in-office whitening. If this is the case, call Mendelson Family Dentistry in Owings Mills, MD, to find out more about our at-home whitening system. We are dedicated to helping you safely achieve that more radiant smile.